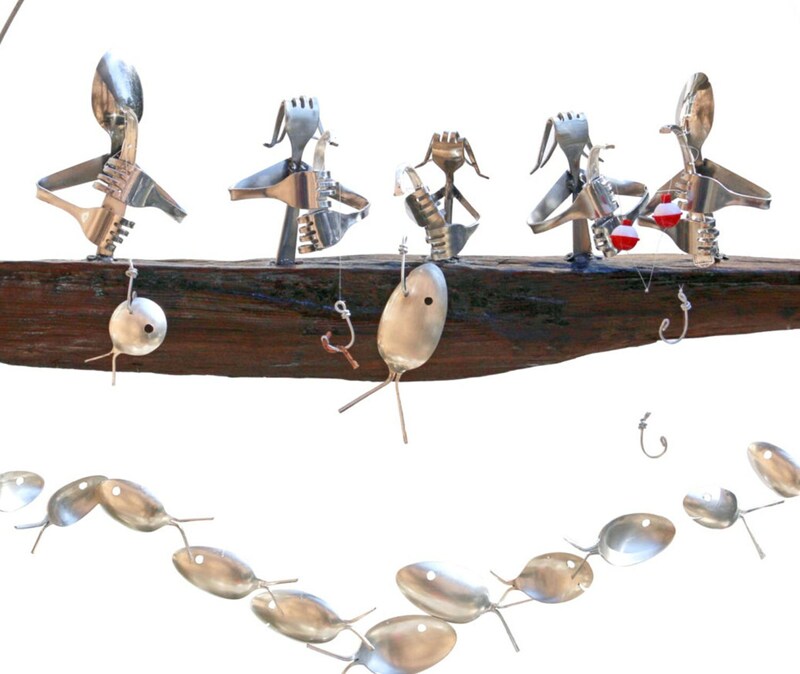 My flatware fishing families are available in various sizes. Free Personalization for your custom needs. Boats can feature any number of fisherman desired ( if larger boats are desired please send me a custom request). Smaller boats will have a total of 8 fish. The number of fish will increase additional person / animal. 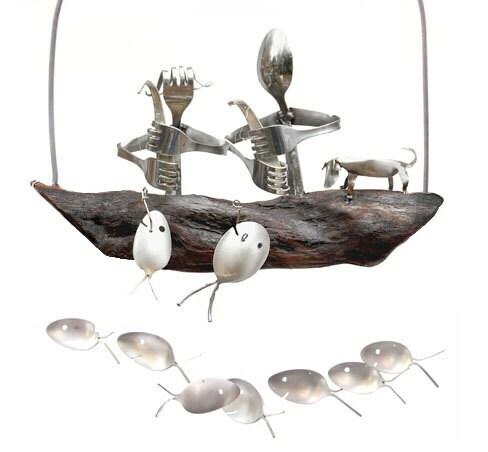 These delightful wind chimes are upcycled from antique silver plated utensils dating back as early as the 1800's. Each set is unique and has a wonderful patina that only time could bring. Sit back, relax and listen to the gentle sounds as they whisper stories of centuries past. 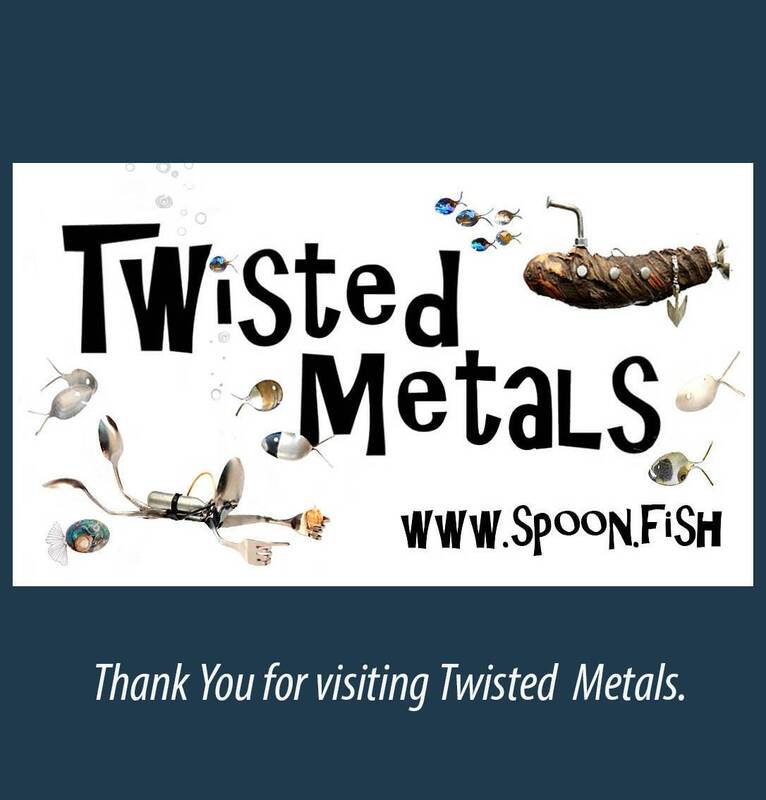 Silver plated spoon fish "sing" a rich yet mellow song with every passing breeze. Each set is unique, yet just as charming as the ones pictures above. Perfect way to display to love of the water! If No note is added we will send our standard chime for the number of persons selected. Sit back and Relax as the wind gently rocks the boat and the fish swim playfully beneath. 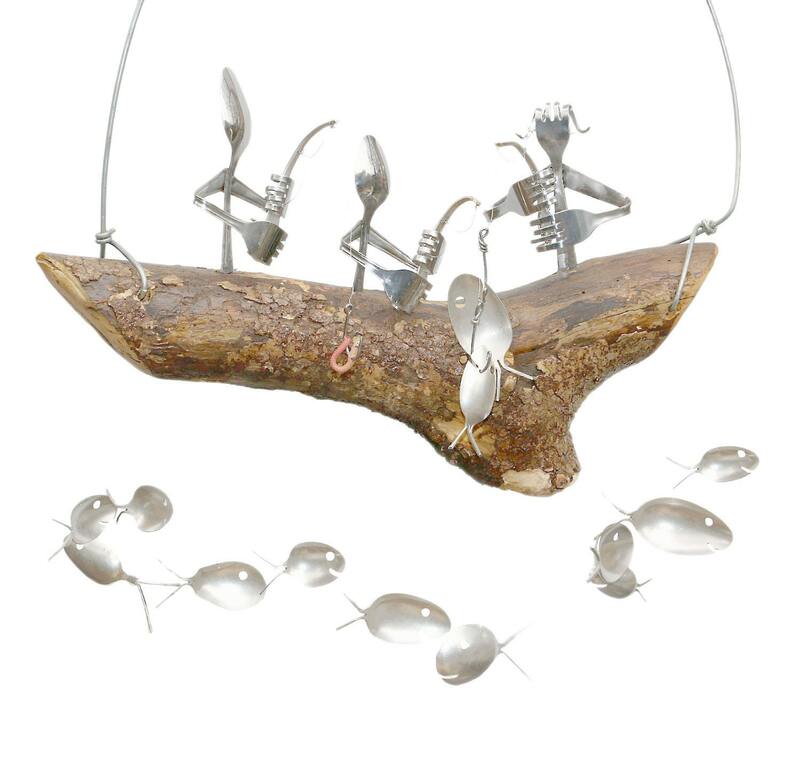 - Fish create a wonderful relaxing melody as they swim..
- Fishermen are welded from a high quality stainless steel. 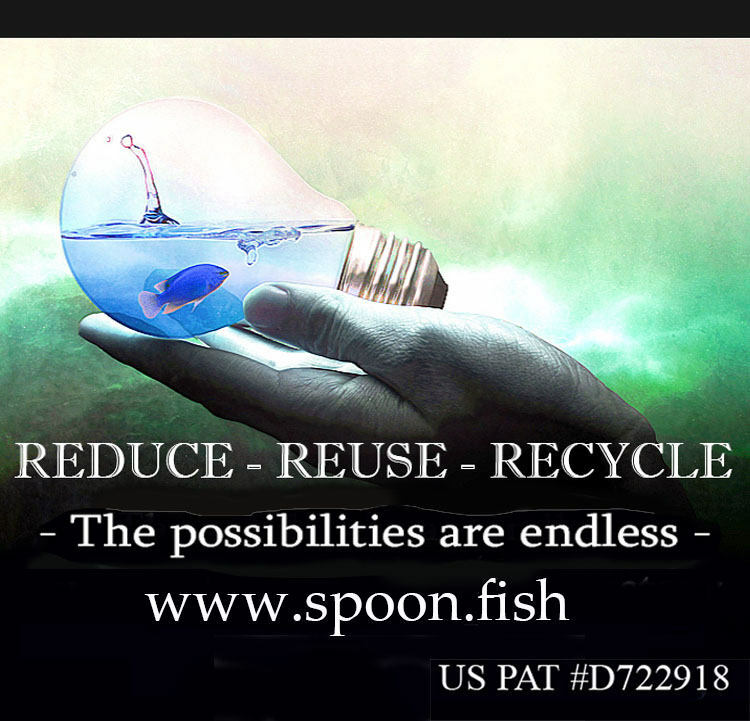 - All spoon fish are up cycled from antique and vintage silver plated flatware. 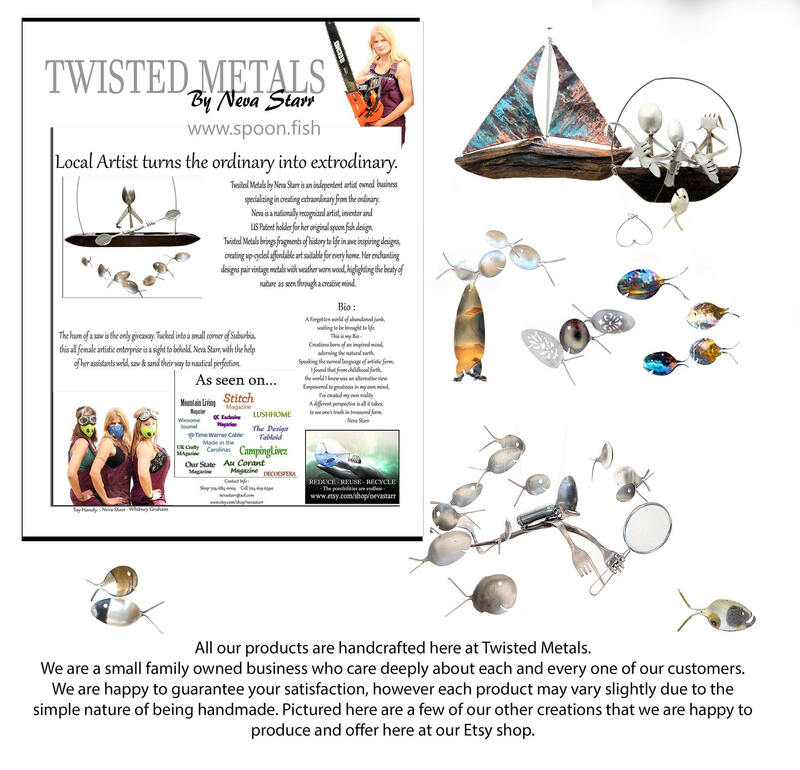 - Each boat, man & fish is expertly handcrafted with care. 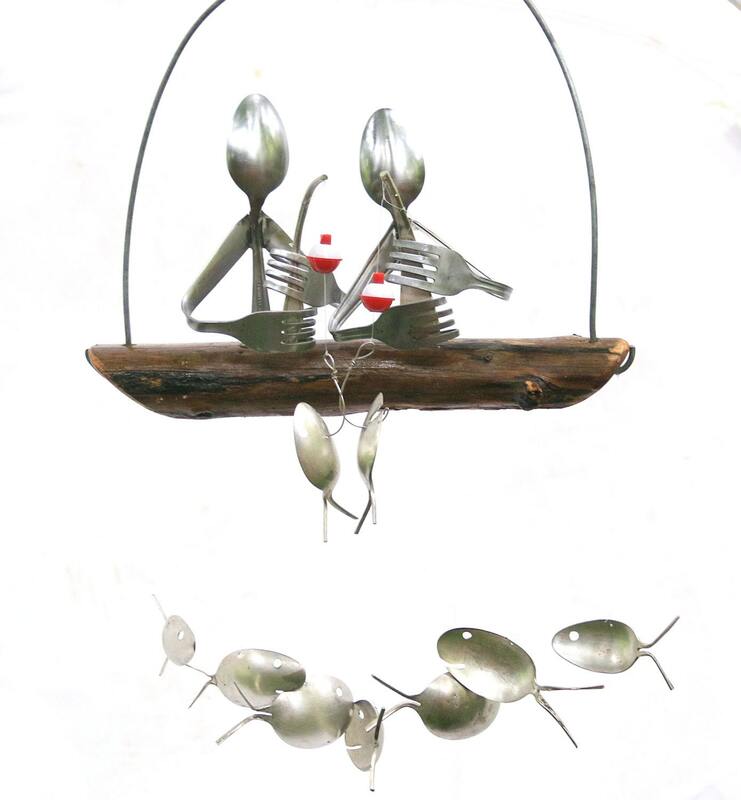 - Durable all weather finish makes this amazing art perfect to hang indoors or out. - Low maintenance - Simply hang & enjoy! - All drift wood is sanitized, steamed , cleaned, sanded & sealed by hand to preserve to unique beauty in each piece. - Finished with a crystal clear and amazingly strong marine grade sealant to ensure enjoyment for generations to comes. All measurements are approximate. 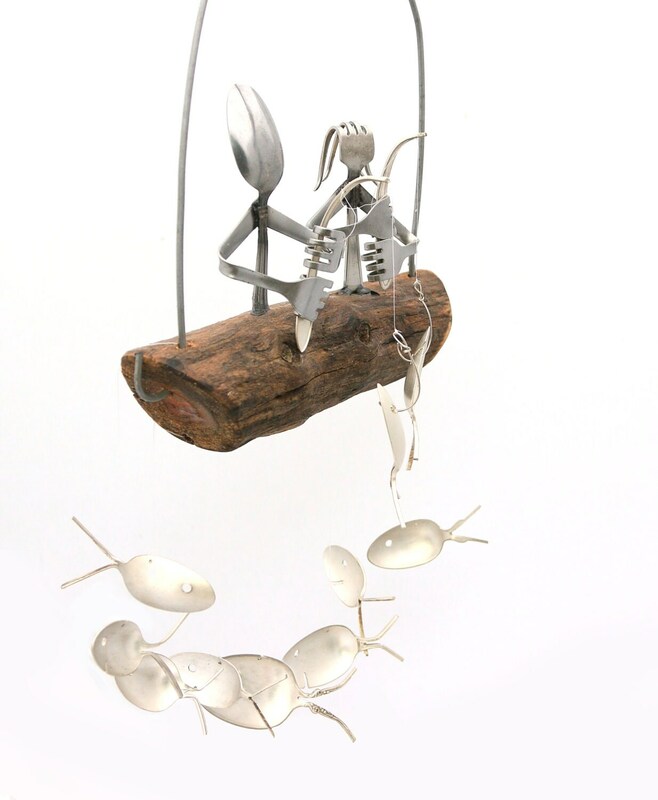 Each driftwood selection is unique, yet is guaranteed to be just as charming as the ones pictured above. - 2 person boat measures aprox 12in x 16in. - Boats will increase aprox 1.25 inches in size per each additional person.